This is not a complete game. 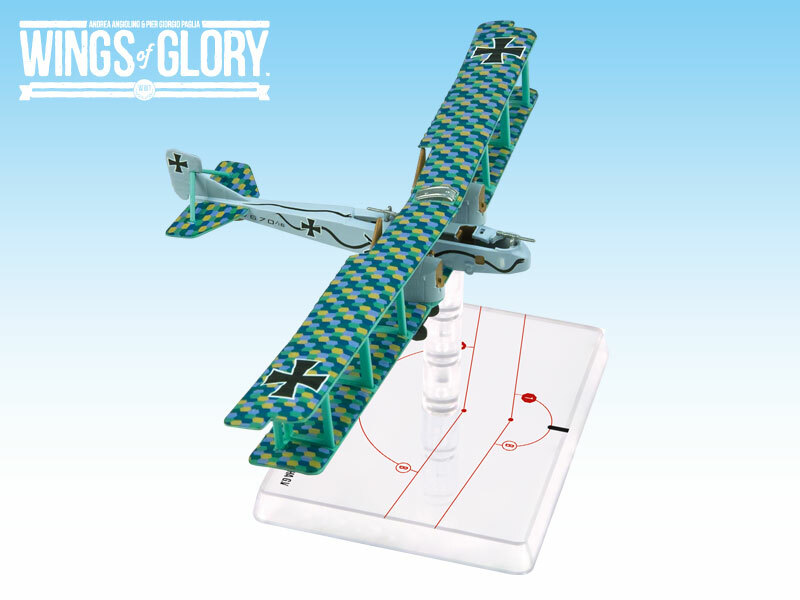 You must own a WW1 Wings of Glory â€” Starter Set (or other compatible WW1 airplane combat rules set) to play. The Gotha G.V was a long-range heavy bomber used by the LuftstreitkrÃ¤fte (Imperial German Air Service). This bomber was agile for its size and difficult to shoot down, but because of its large size, and its unexceptional engine power, it demanded high skill from pilots during takeoffs and landings. The Gotha G. Vs were principally used as night bombers, and dropped 83 tons of bombs over England. Designed to be used with the popular air combat game system created by Andrea Angiolino and Pier Giorgio Paglia, each WW1 Wings of Gloryâ„¢ Special Pack is a ready-to-play large size model, painted and assembled, 100% compatible with any other WW1 Wings of Glory game product. In each pack you will find all you need to play with the airplane: a special base with gaming stats, a variable altitude flying stand, and a specific deck of maneuver cards, as well as specific rules and components necessary to use the airplane.